Each of the two pictures represents one half of a word. 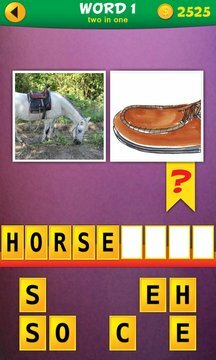 Can you guess the word? 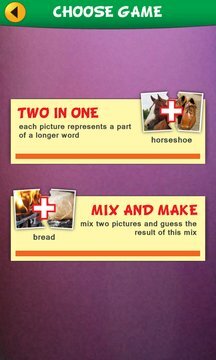 Combine the words and solve the puzzle! Honey + moon ... honeymoon! Can you solve all the puzzles? Each puzzle contains two pictures for two different words. Mix them and you'll get something new. What's the word? Fire + dough ... bread! White + black ... grey! Can you solve the rest of the puzzles? Available in three languages! Practice your second language vocabulary!